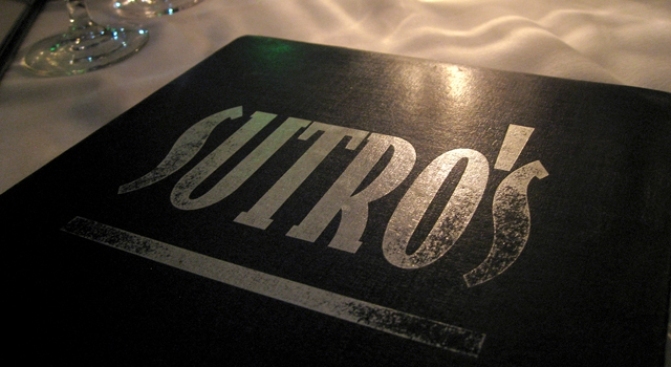 The San Francisco Chronicle's Michael Bauer reviewed Sutro's. Michael Bauer dedicates this Sunday's review to Sutro's, now under George Morrone's watch. Service is uneven, but the former Aqua toque hits on plenty of high notes, resulting in an upgrade to 2.5 stars for the scenic Cliff House destination, which Bauer still can't quite endorse whole-heartedly: "For whatever reason, dining at Sutro's is less than the sum of its parts. The food is good, the views are gorgeous, but I ended each meal feeling slightly disappointed."